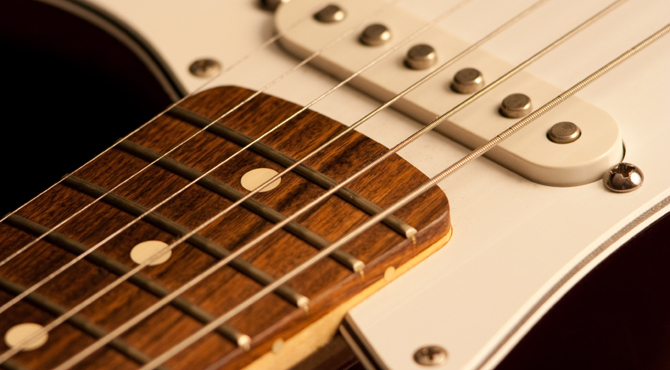 *Binding upcharge applies to any instrument where the tang or end of the fret are hidden. Moderate fret wear can be fixed by grinding all of the frets until they lie in the same plane, then re-crowning and polishing the frets. This can generally be done repeatedly until the frets are down to about 2/3 of their original height. If the wear goes deeper than that, it’s time for a refret. The Level & Crown service is included in a Premium Setup, so you might find it more economical to go ahead and get the setup done at the same time.